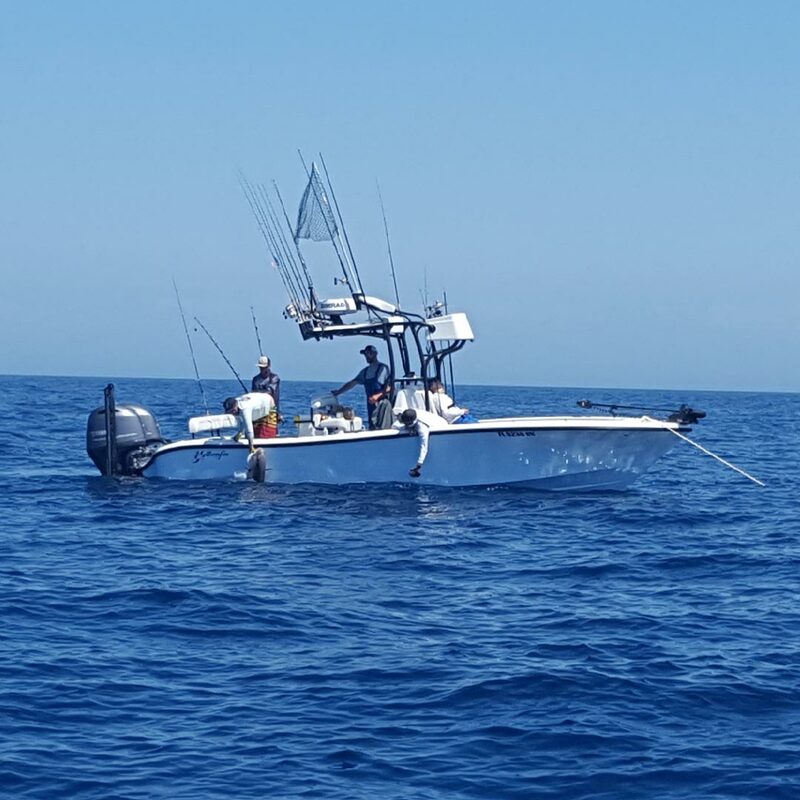 My charter boat is a custom-built 26′ Yellowfin, which is an offshore federally-permitted vessel! 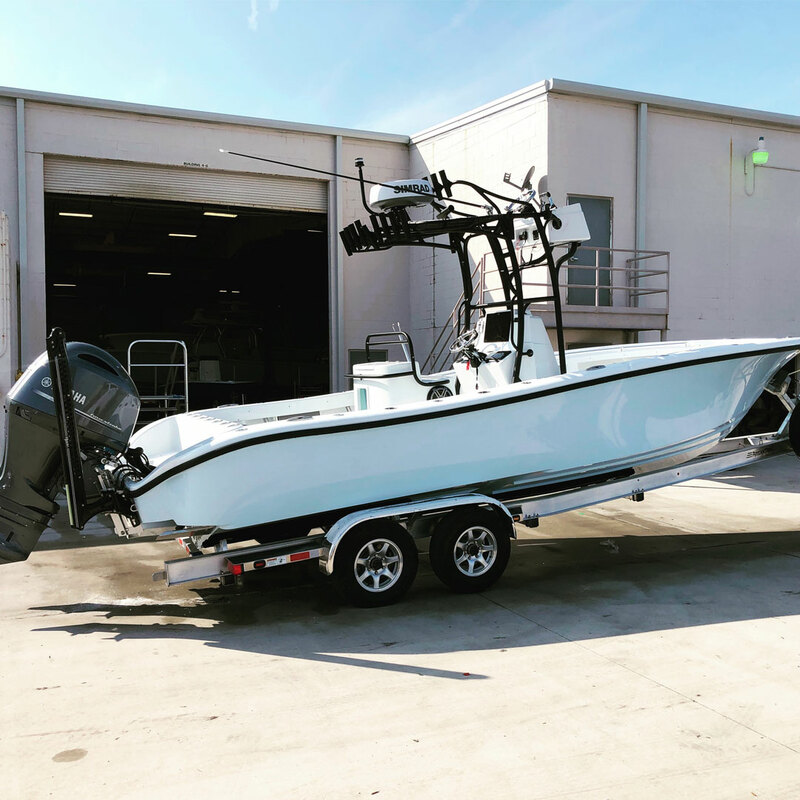 This is a great hybrid hull that can handle offshore runs with ease and comfort, or the occasional inshore charter when the weather is too rough to head offshore. 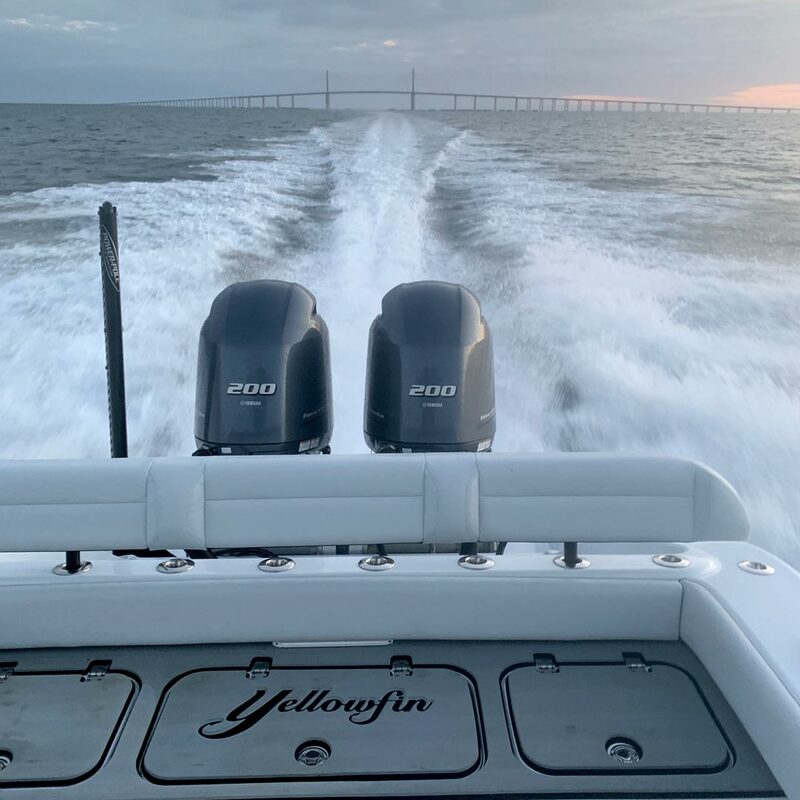 With an adaptable layout, the 26′ Yellowfin is ideal for fishing the reefs and trolling for Tuna offshore. 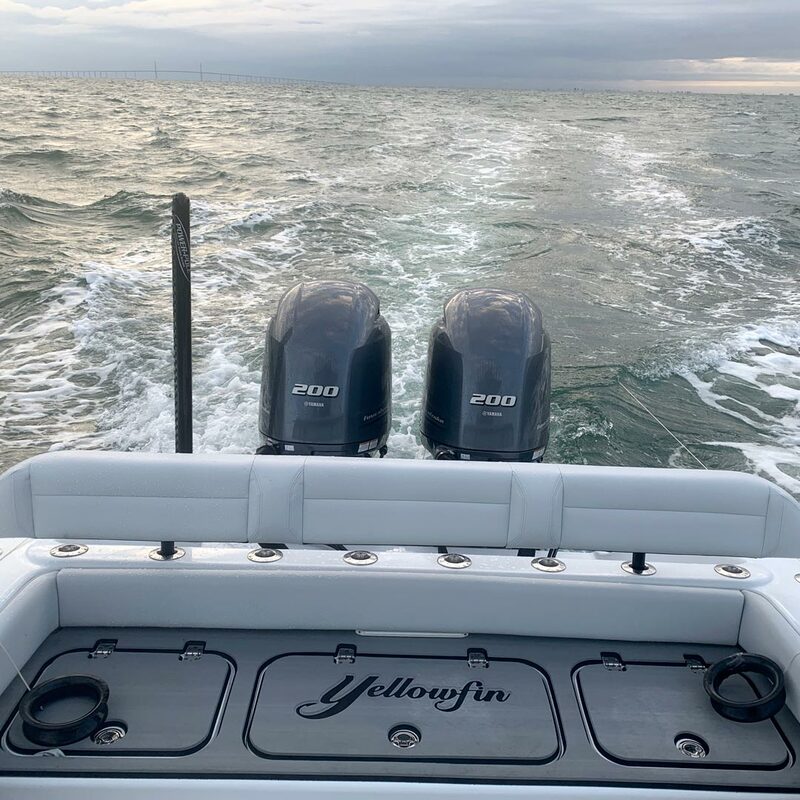 And with its dual Yamaha Outboards setup, we can get to the spots quickly and get on the bite. 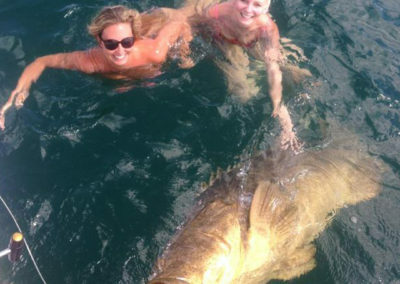 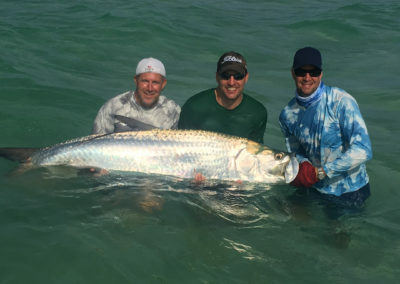 When booking a charter, be sure to let us know if there are any species in particular you would like to catch. 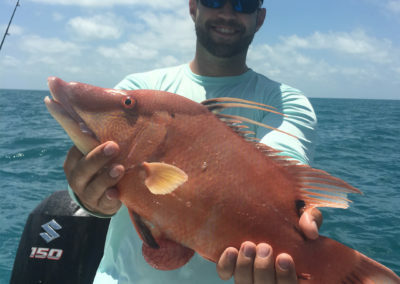 We will help determine the best times of year and type of charter would be appropriate for pursuing that target species. 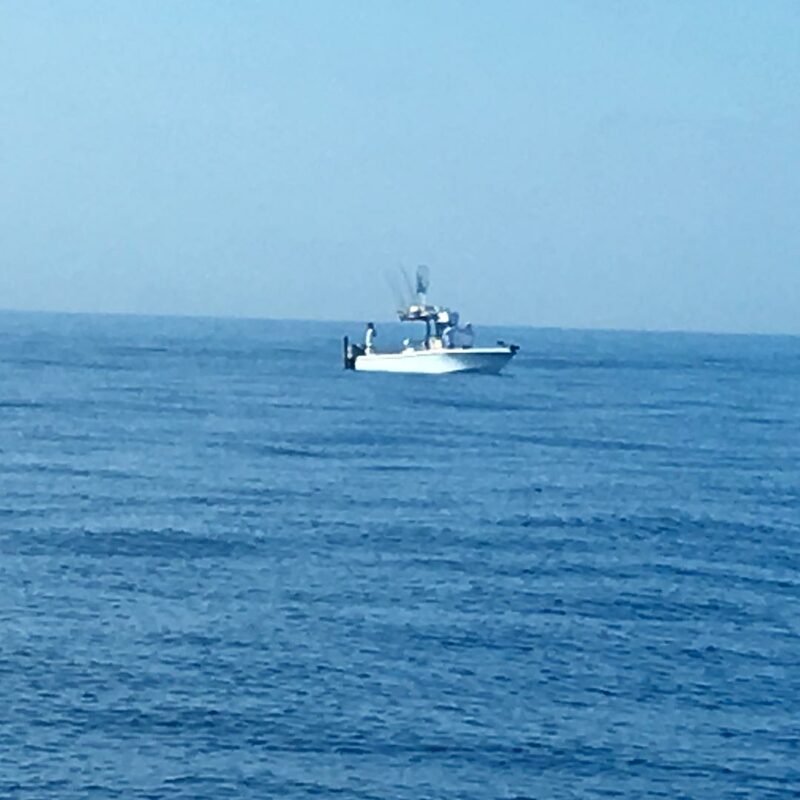 This will also help Captain Jason Stock to better prepare on the day of the charter. 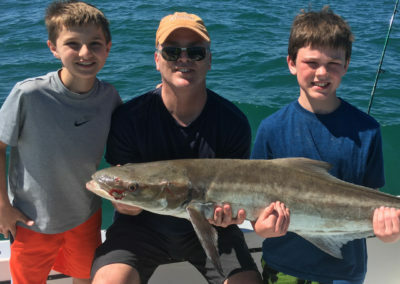 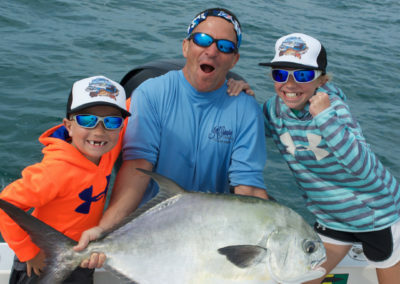 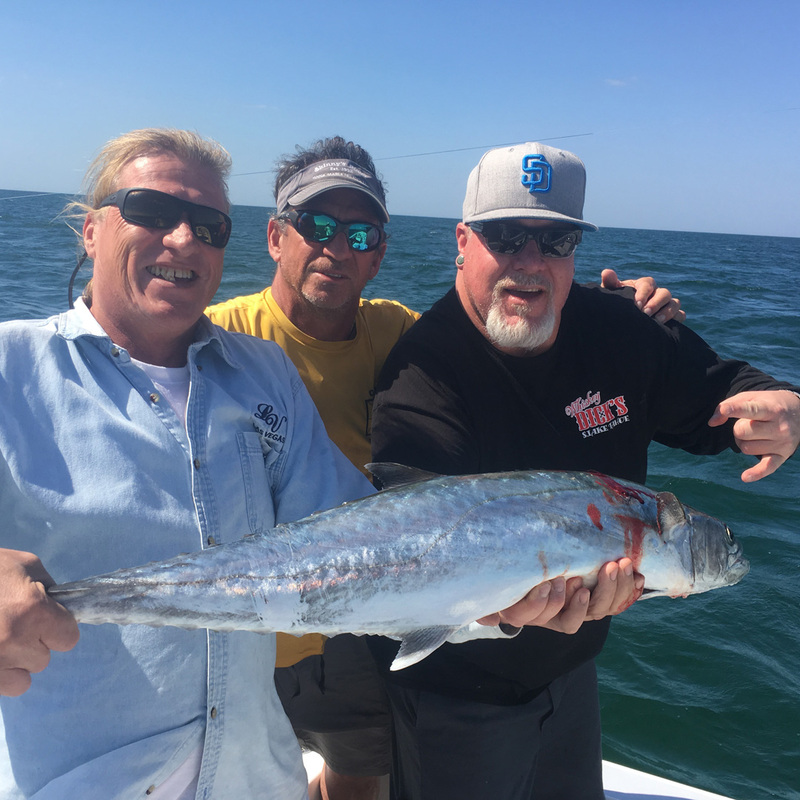 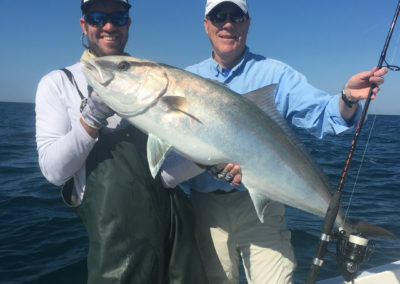 Booking a charter with Captain Jason Stock is booking an adventure, a hunt on the water guided by his 14-years full-time professional experience of getting you on the hottest bite of that season. 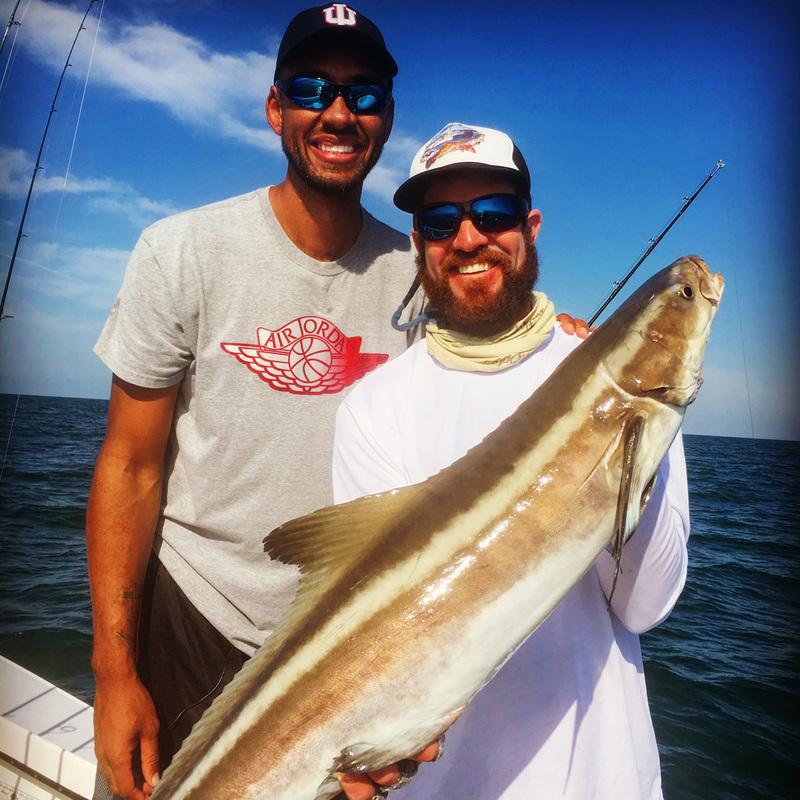 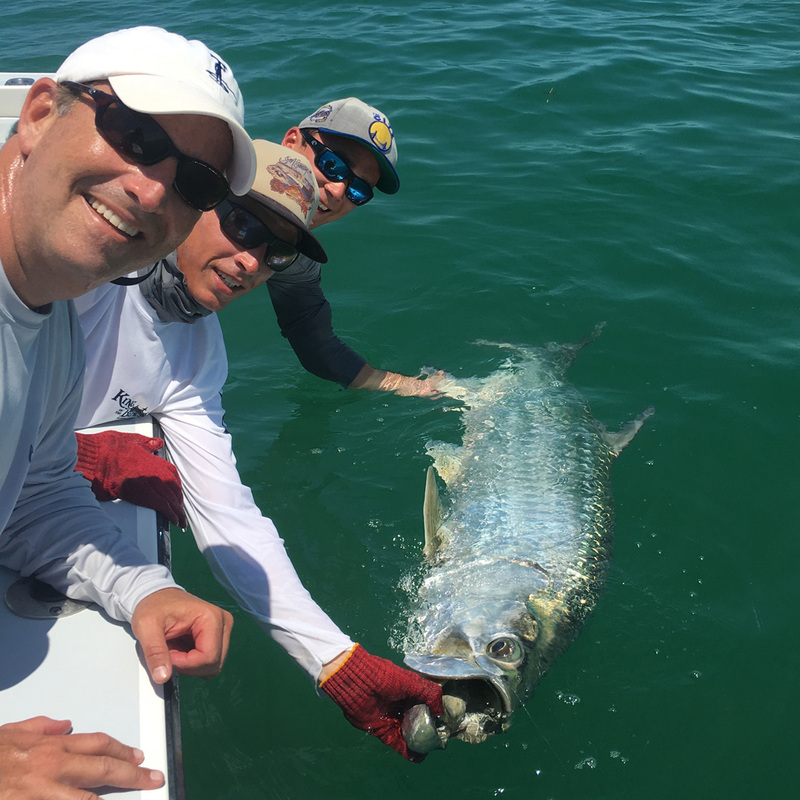 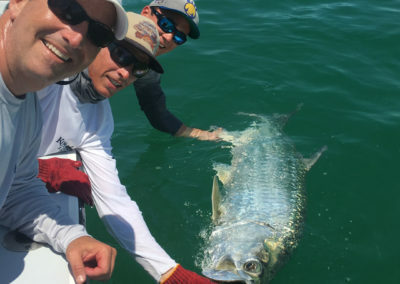 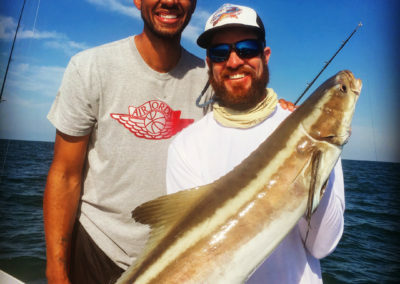 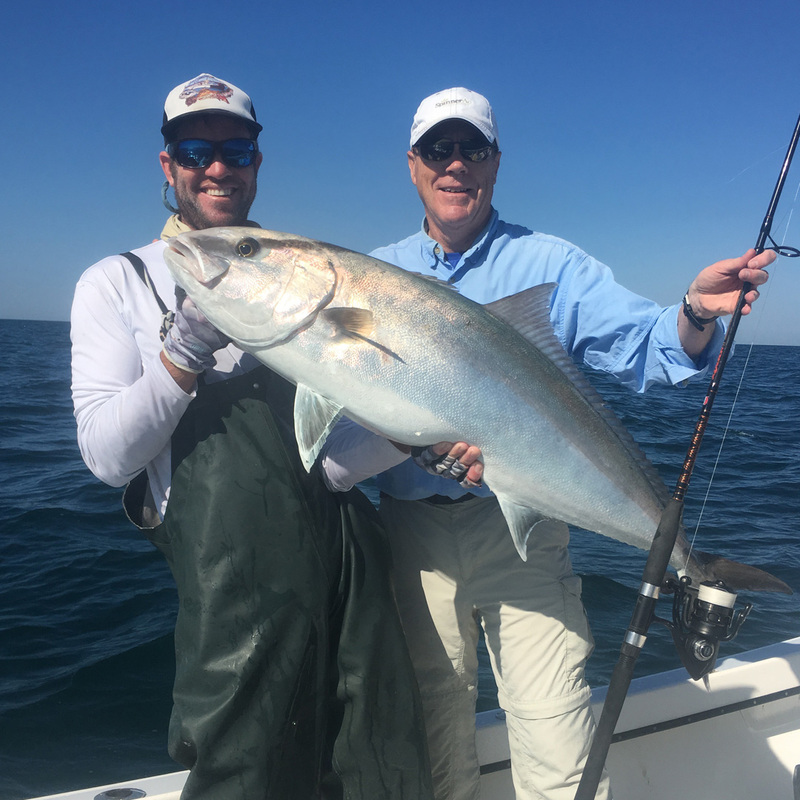 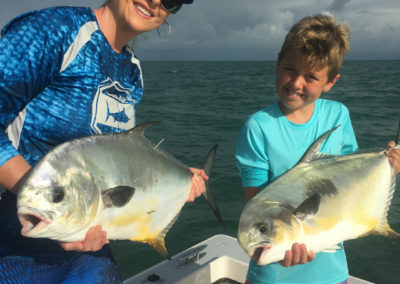 While not every charter may be a complete success, Captain Jason Stock will be sure to provide a memorable day on the water, and do his best to get you on the bite. 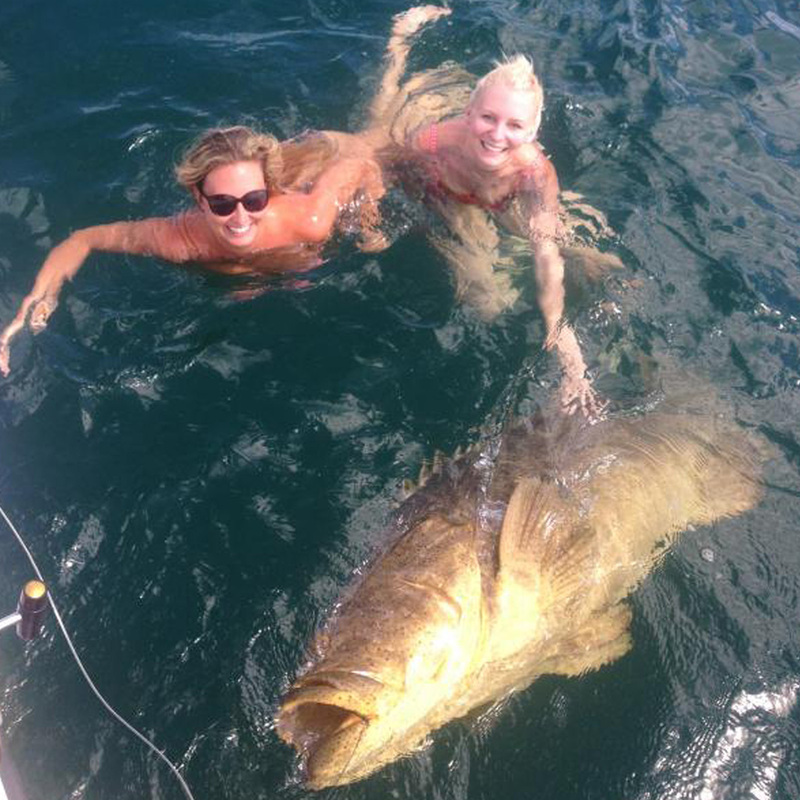 **Note that for the fairness of all parties involved, we require a deposit of half down when booking any charter. 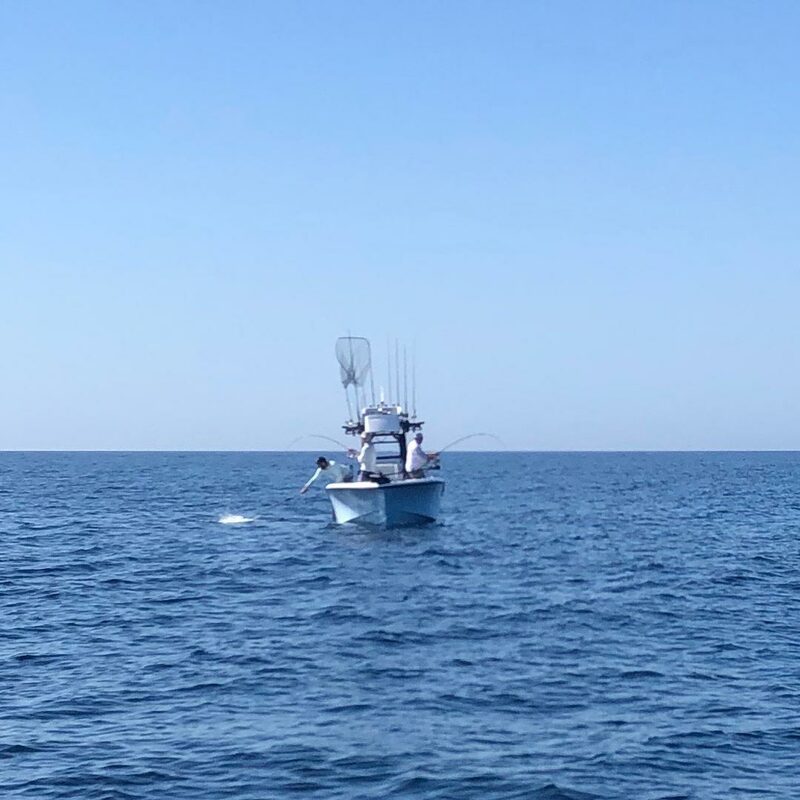 The latest a client can cancel a trip due to weather is 72 hours in advance. 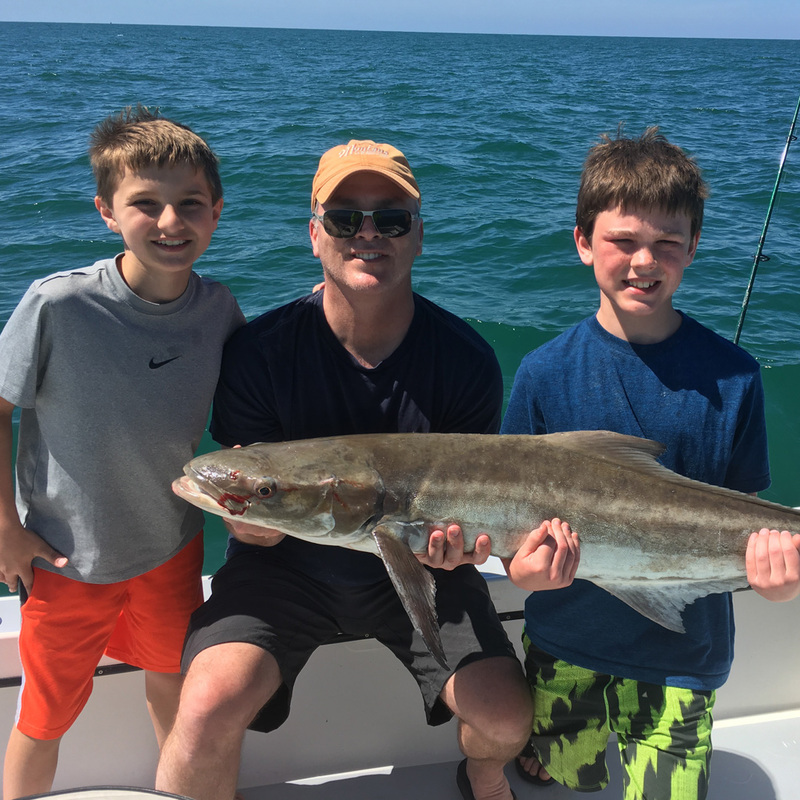 Any cancellations within 72 hours of a booked trip are at the sole discretion of Captain Jason Stock. 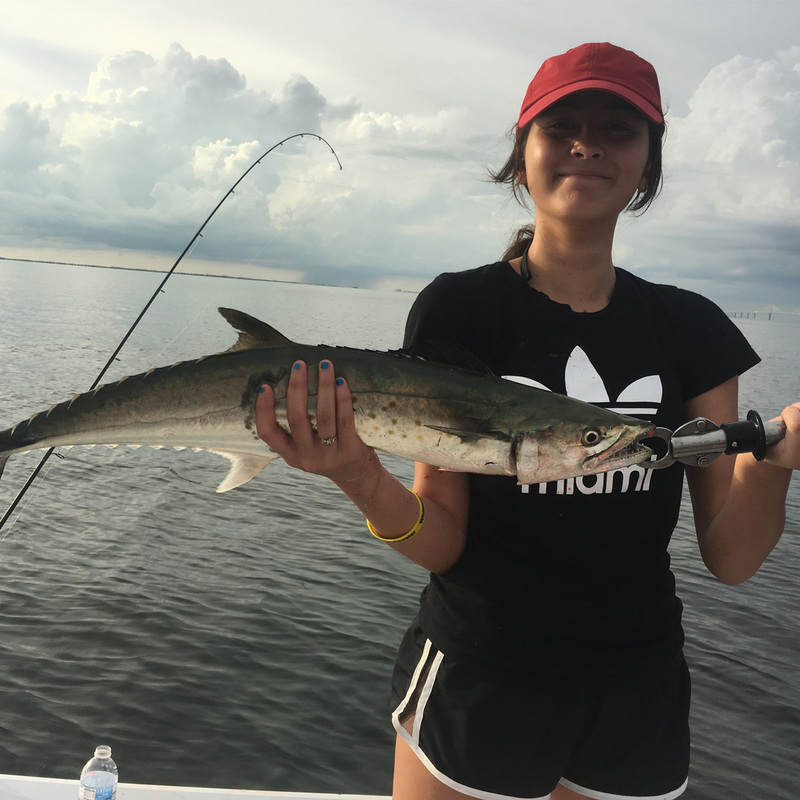 Great for all around fishing in the Tampa Bay/Sarasota Area Inshore flats and fishing in the Gulf for Tarpon also near shore reefs. 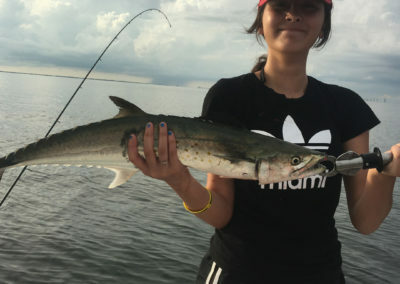 Summer time tarpon trips for larger parties, I will have a first mate on the trip. 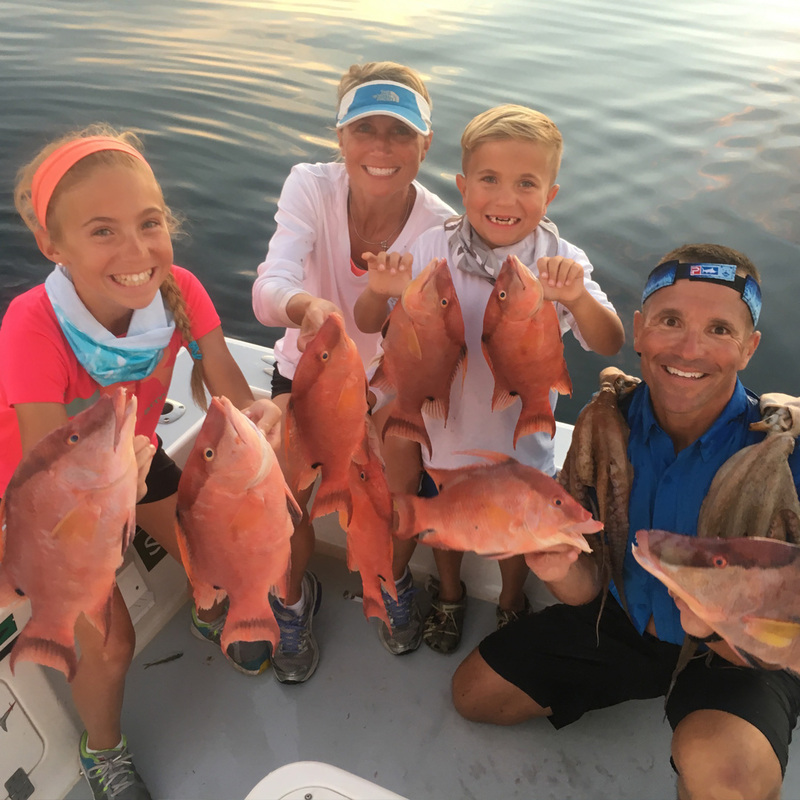 Trips are available May-August! 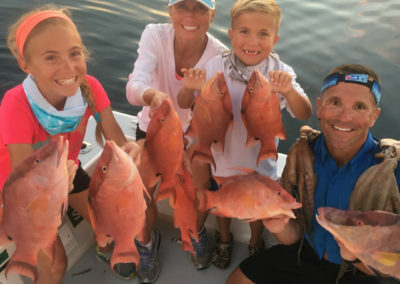 Near shore and Reef fishing trips catching a variety of fish especially to eat! 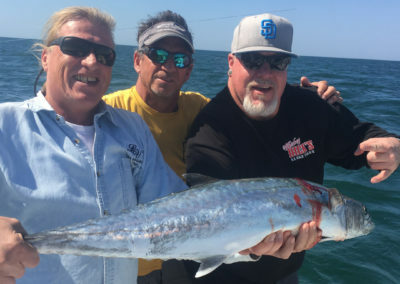 This type of charter can be a memorable, unique team-building experience for company trips out of the office, and business retreats. 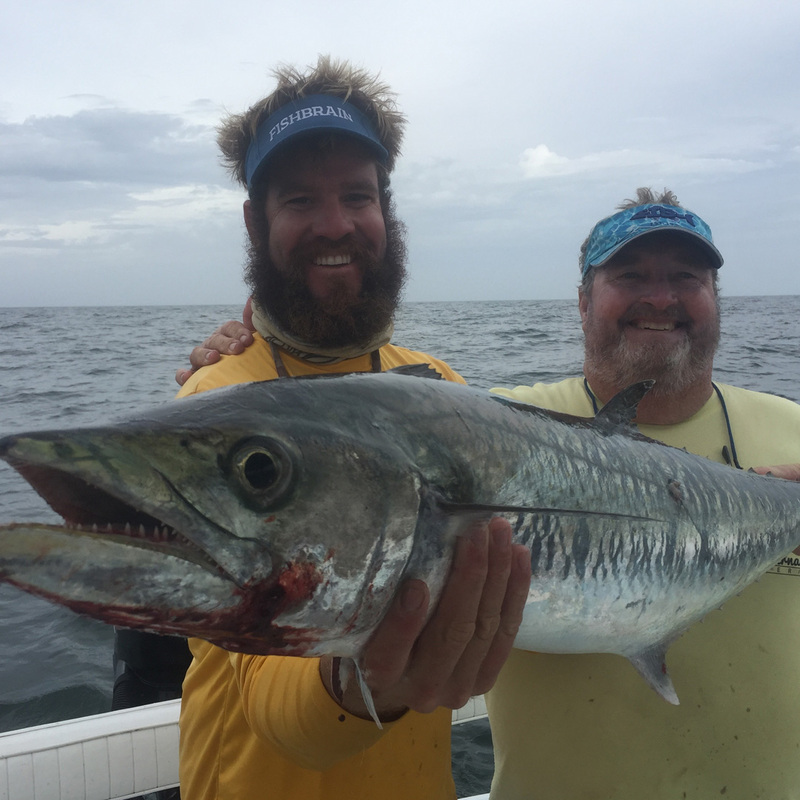 *Note that weather can limit the range of any trip as we strive for safe conditions for each charter. 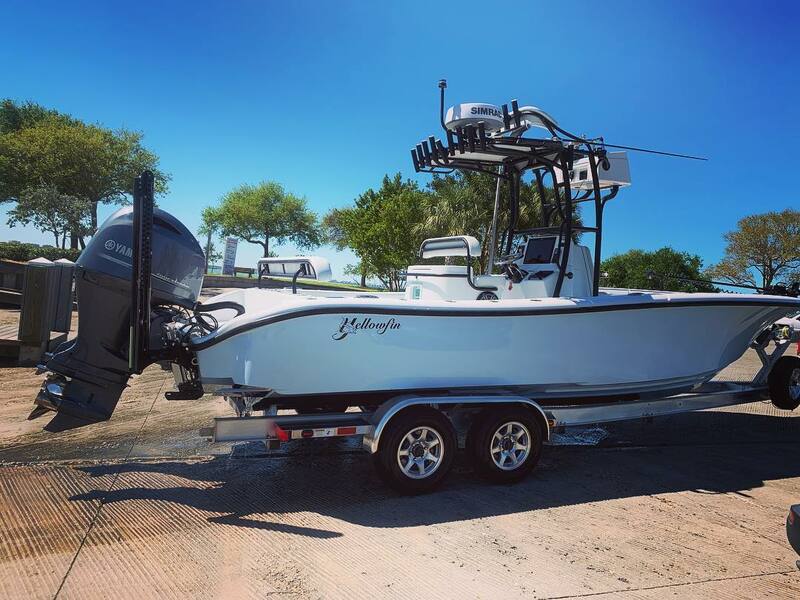 I’m no longer offering kayak charters, as I will be focusing solely on Yellowfin charters, once the boat is completed. 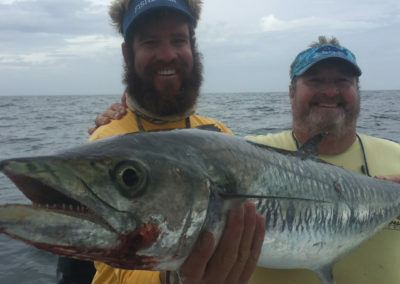 If you would like to go on a kayak charter, I will be more than happy to refer you to other captains offering the service you are looking for. 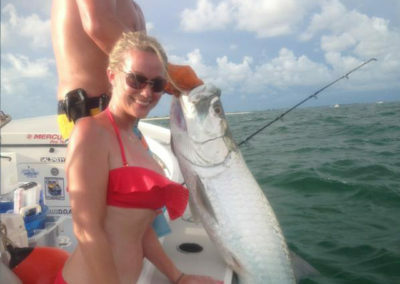 Have we got you hooked? 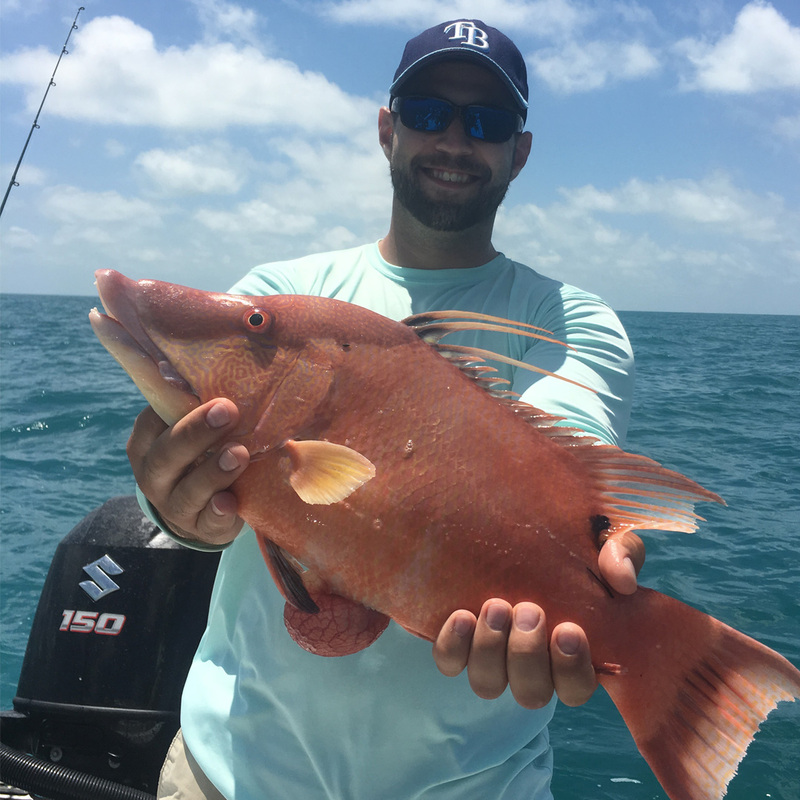 Reach out and book a charter with Captain Jason Stock, and allow him to guide an exciting day on the water. 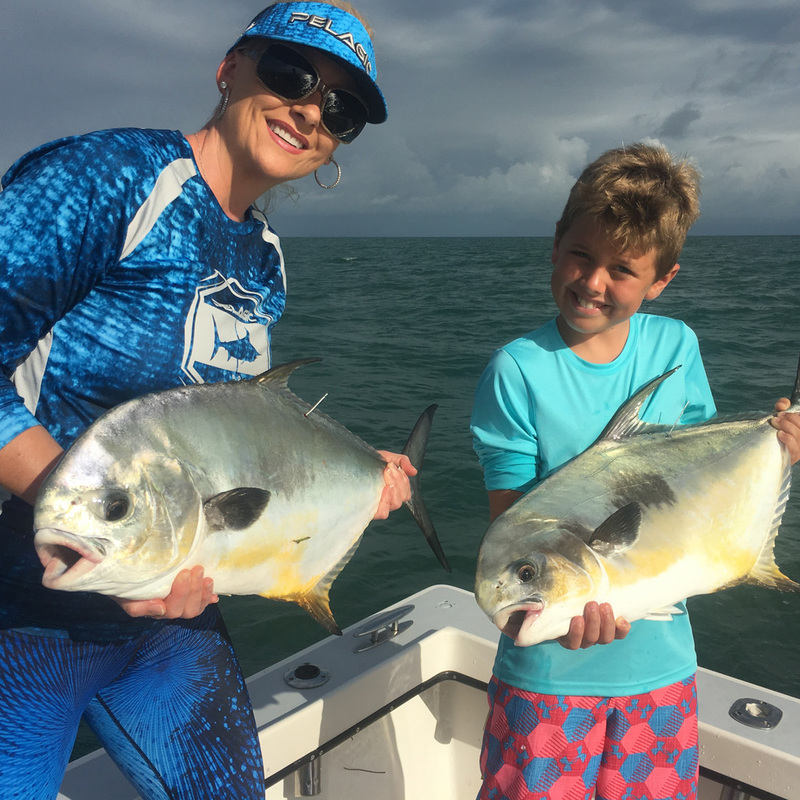 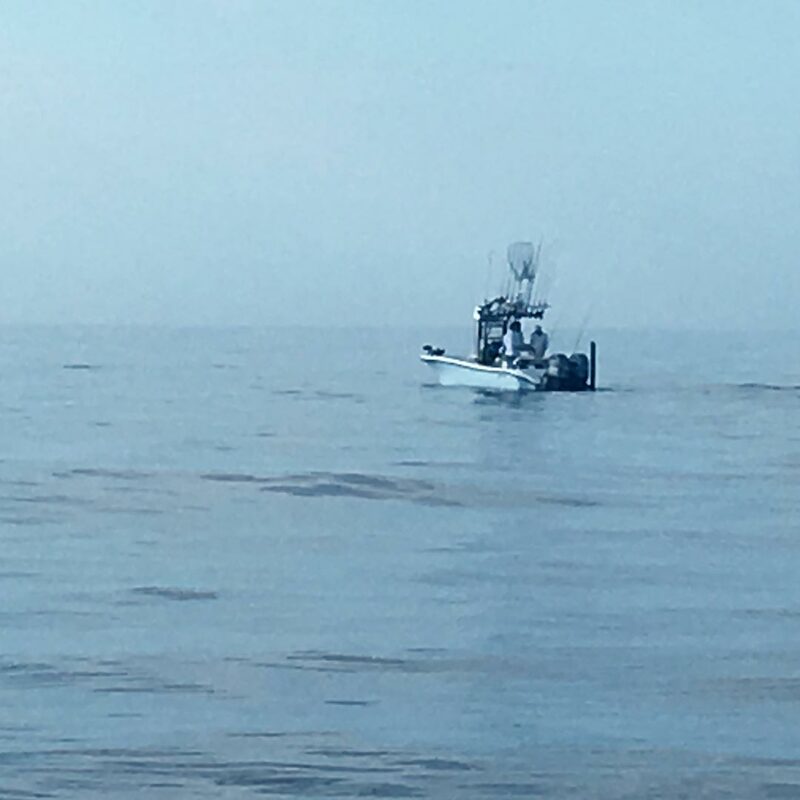 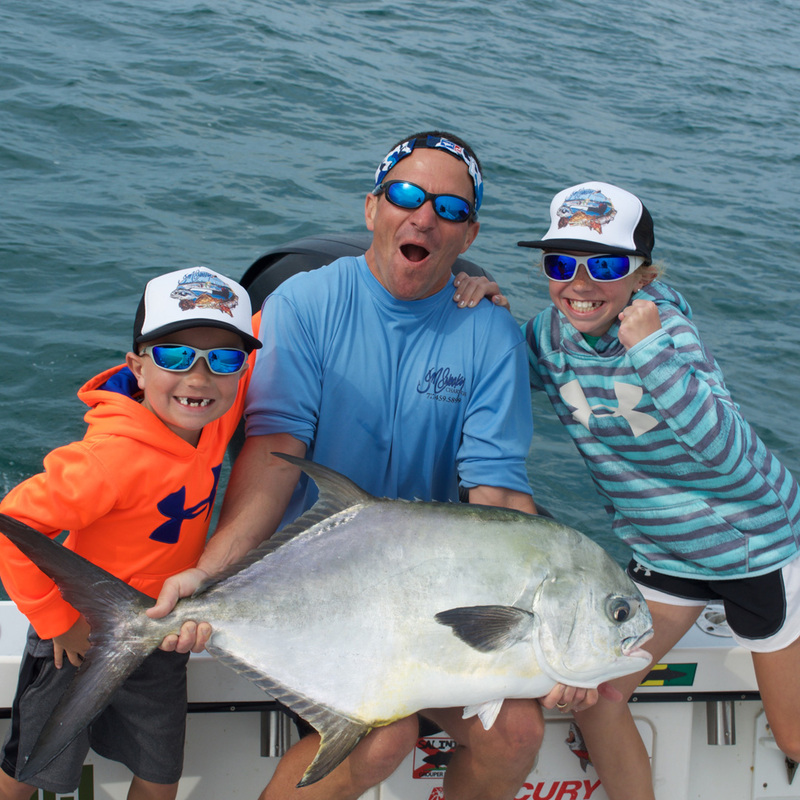 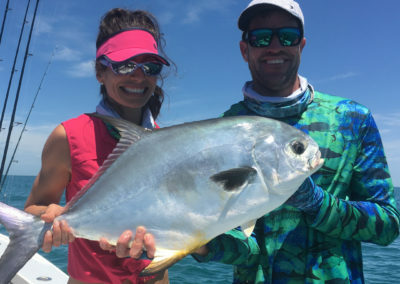 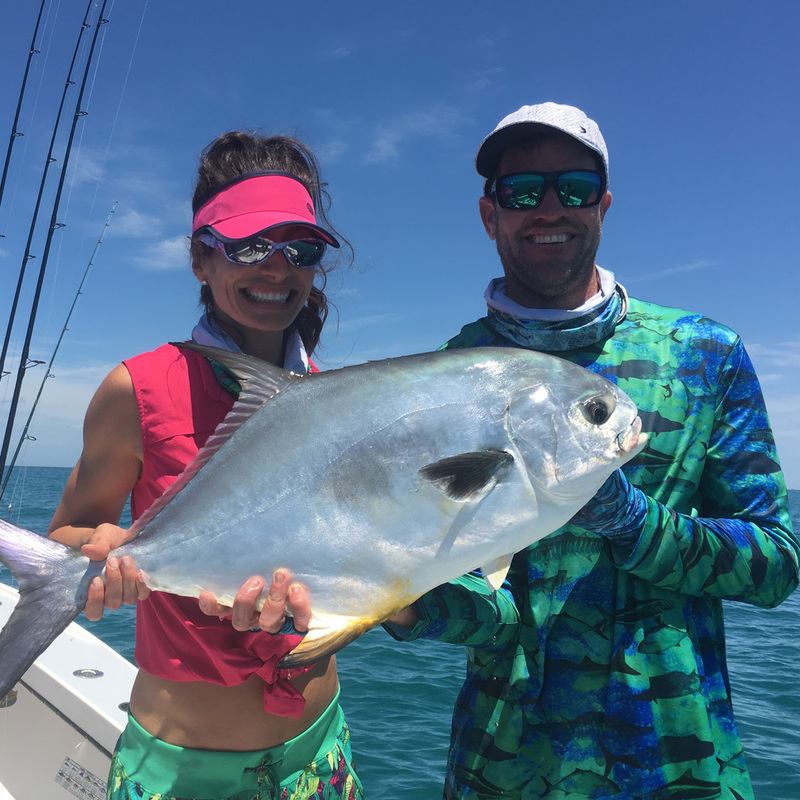 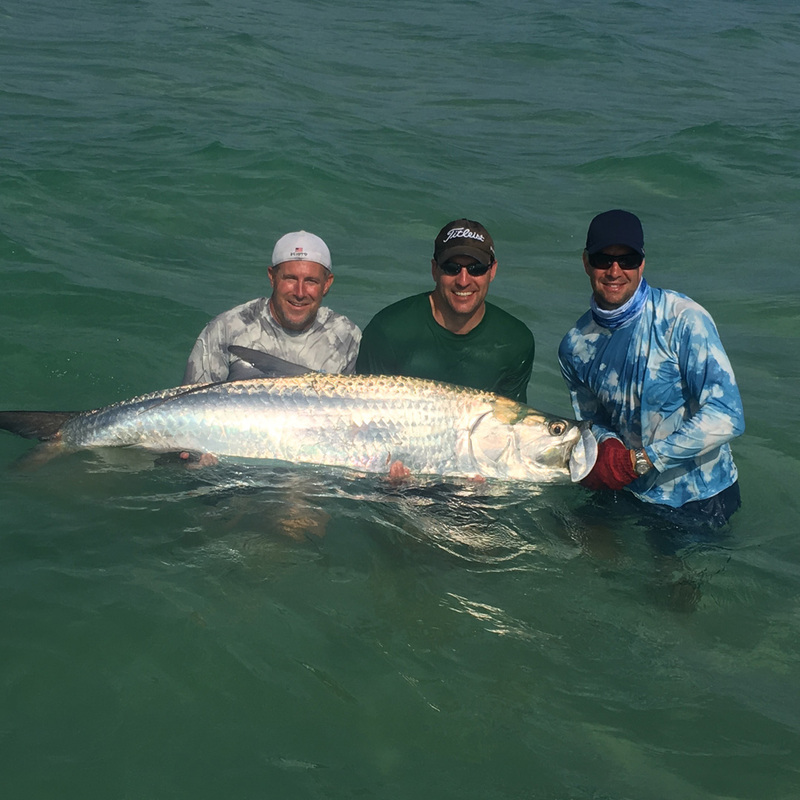 Whether you grew up on a boat, never set foot in the water, or have a particular fish species you want to cross off your bucket list, let Captain Jason Stock provide a memorable experience on the water.